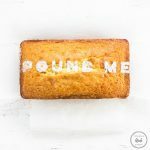 This is the best pound cake recipe! Butter, cream cheese and five eggs create a moist texture and beautiful golden hue. 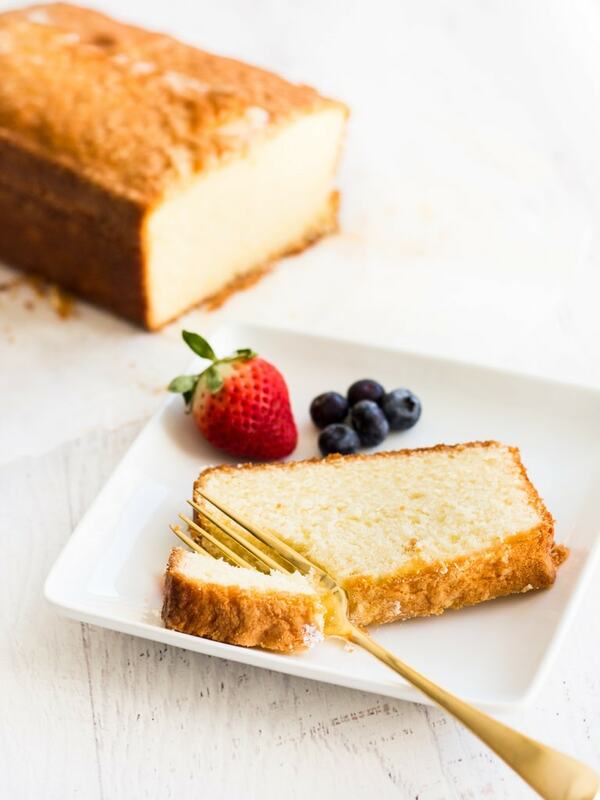 The pound cake is easy and delicious with fresh berries. Pound cake is a dessert for all occasions. Seriously, it is so adaptable to flavors and toppings, you can make up any excuse to eat it. I had leftover fresh strawberries and instantly thought how good they would be on a slice of pound cake. See? All it took for me was some fresh fruit as an excuse to make cake! I’ve baked quite a few pound cakes in my day and they are all well and good, but there is a secret ingredient that makes this pound cake the best. And that, my friends, is almond extract. And yes, I know best is a strong word when it comes to desserts, but I find it to be true in this case. Not only does this pound cake recipe have almond extract, but it also has cream cheese. That’s right, I added cream cheese to the recipe. I found it makes the batter ultra smooth, velvety while adding richness to the pound cake once baked. Don’t worry though, there’s butter in there too! This pound cake also boasts the signature golden hue thanks to the five eggs added to the batter. The pound cake turns out dense, flavorful and extremely moist. I like to add a sprinkle of confectioners’ sugar on top of my pound cake. 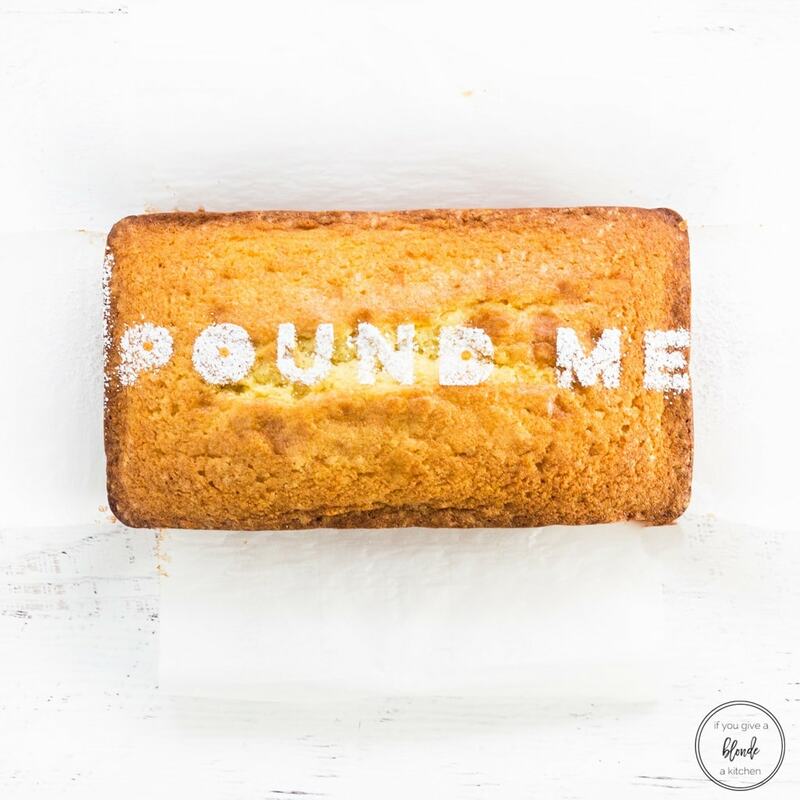 This time around I got creative and used a stencil to spell out “POUND ME” on the top. Who said you couldn’t get a little naughty with baked goods? After all, Valentine’s Day is this week! Preheat oven to 325°F. Line a 9-inch by 5-inch loaf pan with parchment paper and spray with nonstick spray. In a medium bowl, whisk together flour, sugar, baking powder and salt. Set aside. Turn the mixer on low and slowly add the flour mixture. Increase speed to medium and mix until the extremely light and fluffy, about 1 minute. Spoon the batter into prepared loaf pan. Bake for 90 minutes total. After 60 minutes, tent the loaf pan with tin foil and return the pound cake to the oven to bake for 30 more minutes. Pound cake is finished with golden in color and a toothpick inserted in the center comes out clean. 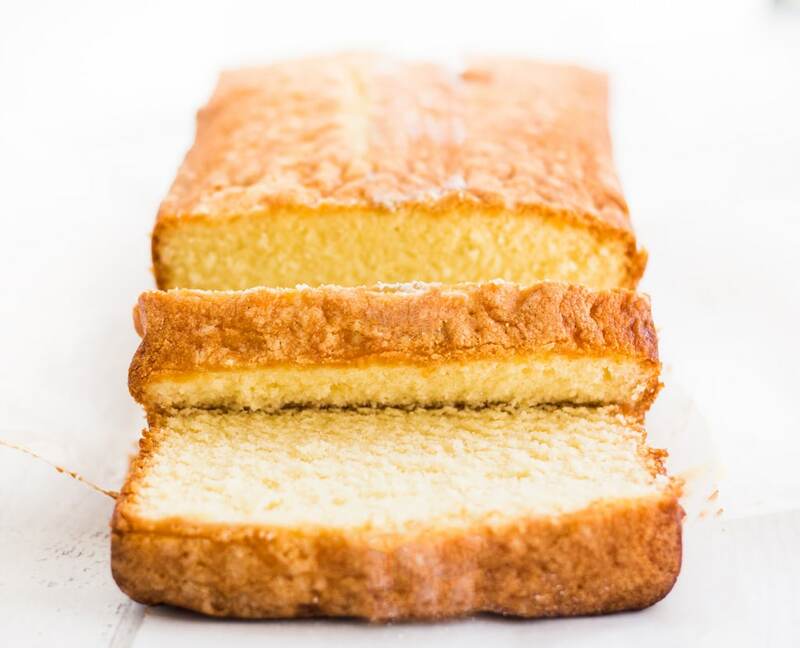 Let pound cake cool in the pan for 5 minutes, then use the edges of the parchment paper to lift the pound cake out of the pan and set on a wire rack. Serve warm or at room temperature. ¹ After adding the eggs, the batter may have pieces of butter/cream cheese. That is okay! Scrape down the sides, mix again, then add the flour. It will all come together! 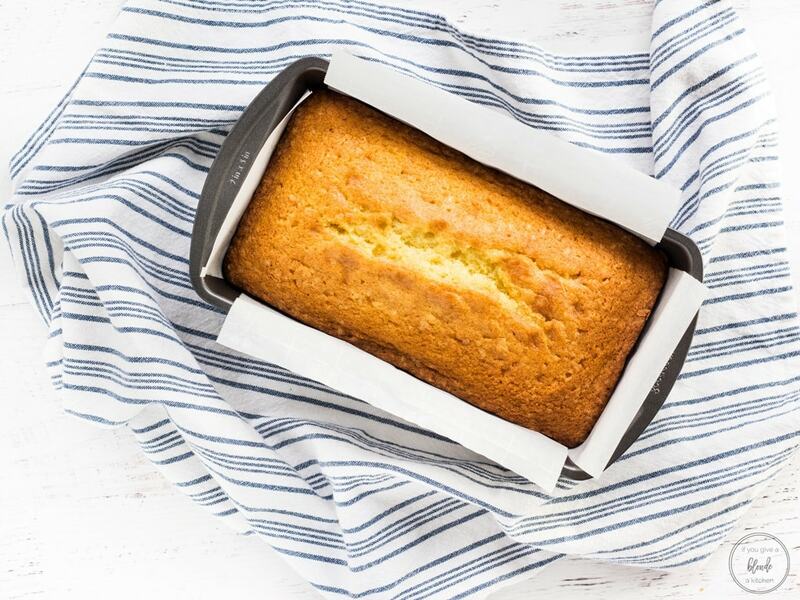 ² To store, wrap the cooled pound cake in plastic wrap and keep at room temperature for up to a week. Recipe inspired by King Arthur Flour. Please, with so much sugar aren’t they so sweet? 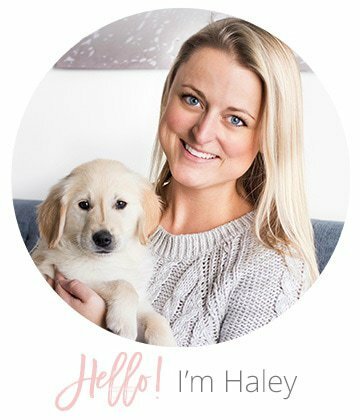 Can I put less sugar in the recipe without compromisse the end result? Your cake looks soo beautiful! Congrats! Hi Jack, no this pound cake is not too sweet and this is a pretty standard amount for a pound cake made in a loaf pan. Any less sugar and it will taste more like bread. If you’d like, you can substitute with Stevia or Truvia baking blend.